You know what this means? GETTING CLOSER TO THAT LEVEL DLC!! Egg Fleet/Final Fortress DLC plz? lol idk, I’ve just been wanting to play a new version of that level. That is the Sonic Heroes’ stage that should’ve been included in Generations, not Seaside Shore, it could’ve easily had Sky Chase (both 2 and Adventure), Wing Fortress, Flying Battery and Egg Carrier resemblances. 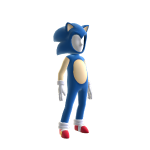 Oh I long for the day we get PS3 avatars of Sonic. And yet the Xbox is favorited again…..
And everywhere I see this I honestly think, where have I heard this before? Oh, and not only Xbox, but the EUROPEAN PSN? Sometimes I hate being in America. I can’t wait to move back to London. I expect the US will get the themes next week. Would be odd to make them EU exclusive. Well, with all the BS the country other than EU I wouldn’t be surprised. 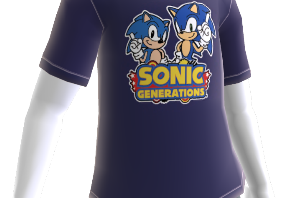 EU got the Collectors edition of generations and is now getting an entire merchandise store. 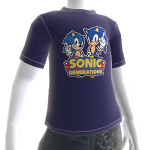 Did anyone get an xbox 360 update for Sonic generations today? I did and I don’t know what it does. Uh Shadzter? Is it okay if I change my name here to my SSMB name? I changed my name from ‘sonichedgehog’ to ‘thebluehedgehog’ which is my SSMB name. Just saying if I need it or something. * Hard versions of Acts 1 and 2. * Acts 3 and 4. I’d also really love to see alternate characters, as I’ve mentioned in the past. They could make Blaze, Jet, Shadow, Silver and Metal Sonic playable without changing the gameplay at all. I’d also really love to see some more Skills, provided they’re well thought out and add to the game. The concept of all new Zones being introduced seems unlikely to me, but if that’s something Sonic Team is considering, I could see them making Stardust Speedway an full stage. They have a new mix for Metal Sonic’s battle, as well as the new version of the US theme that you can unlock, so they could map those to the Classic and Modern versions of the level, respectively. Then there’s the fact that the level is very popular, and comes from one of the most beloved games of the franchise. Throw in the unique Time Travel element, and you’ve got yourself a level that could stand out from the rest, making it “must-have” content. The fact that Modern levels outnumber Classic levels 2:1 would also make an oldschool stage like Stardust Speedway just that much more desirable. 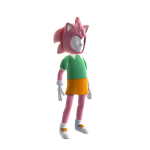 Anyway, I noticed that my Super Sonic outfit is named something like “Preorder Exclusive 3.” I wonder if the Avatar Marketplace will have this Super Sonic outfit listed as a separate item. 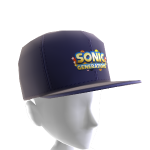 I know that the preorder bonuses for SEGA’s recent Kinect game Rise of Nightmares are identical to a couple of items on the Marketplace, and they appear as already being purchased when you redeem those codes, so if these outfits show up as different items… that’s pretty weird. Stardust Speedway Modern and Classic DLC? SEGA, HAVE MY HYPER-GO-ON POWER IF YOU DO IT. On topic: I hope the US gets those dynamic themes SOOO WANT! And I want a 360. That defeats the purpose for getting pre-order dlc. 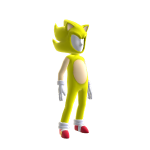 I already got the normal Sonic suit from Sonic 4 ep 1, and the Super Sonic Suit from the pre-order. 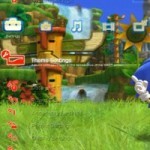 Glad they are not selling the Theme on Xbox at-least that will still be unique, though I might buy the Sonic theme for my PS3. So people that couldn’t pre-order the game should basically deal with it? I couldn’t find a Sonic Generations theme on the PS Store. There was a rather nice Sonic CD theme, though. I have just download the Sonic CD (2nd) trailer which is now on PSN. It looks amazing in HD. 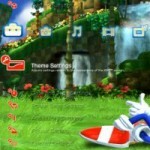 Also download the really call Sonic CD ‘Stardust Speedway’ theme. Fingers crossed Sonic CD will be released soon. No later than 16th December 2011 I would imagine.